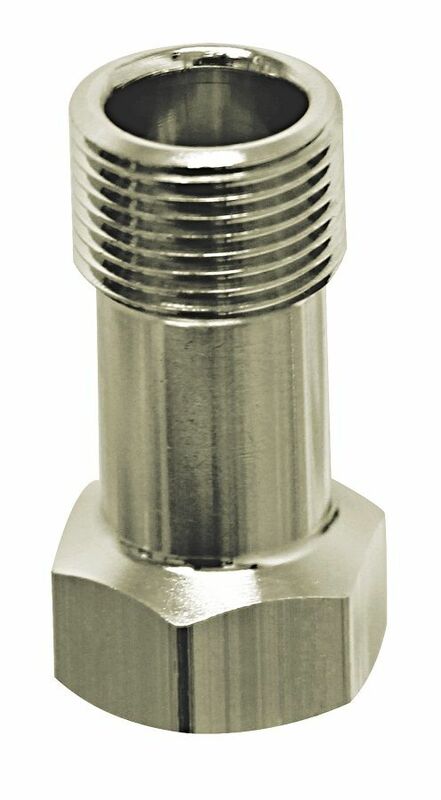 The PCA (Pressure Compensating) Supply Line Adapter in .75 GPM is the perfect solution for retrofits. 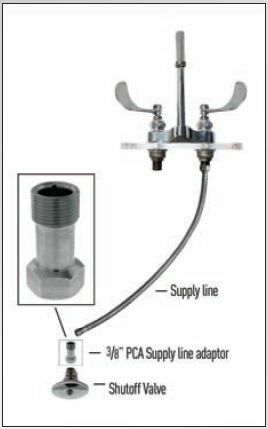 Simply install the adapter under the sink at the angle valve and supply line. The faucet will have the .5 GPM flow rate for each the hot water line (.75 GPM) and the cold water line (.75 GPM), or 1.5 GPM combined. IMPORTANT: Over tightening may cause the washers to compress excessively and leak. When installing, HAND TIGHTEN then 1/4 turn with wrench.